A maximum of 6 people per campsite is allowed for any purpose or activity to minimize the impact on the resources near the campsites. All washing and bathing with soap must be done on land, 150 ft or more from shore, to preserve the water quality of the lakes. All food items must be repacked in reusable containers to prevent littering. Also remember not to bring firewood from home. 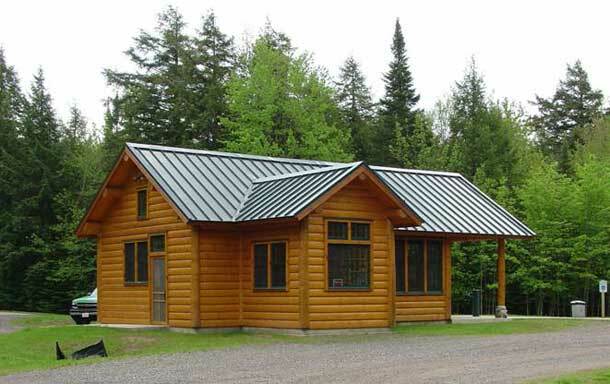 You can purchase wood in Watersmeet; it may also be available at the Clark Lake campground. For a complete set of rules and regulations, go to the Ottawa National Forest's "Sylvania Wilderness and Recreation Area" web page (see link below).